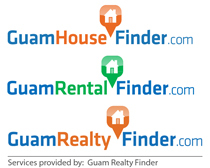 Thinking of buying a home in Guam, consider living in Tumon. With all the restaurants, bars, stores, and hotels lined up along San Vitores Road, Tumon is the most vibrant part of Guam. Living in Tumon has great perks, as most places are walking distance to the beach. Here is a rare, fee simple, not leasehold condo in Tumon for sale. Located behind the Tumon church, you are right near the action, but tucked away in a quiet part of Tumon. San Vitores Village Condo is one of very few condos that are fee simple. Fee simple means, there is no lease on the actual land. It also relates to low home owners fee. This nice San Vitores Village Condo is a 3 bedroom 2 bath unit, with 1,200 square feet of space. Perfect if you want to live in a quiet neighborhood near the action. If you are interested, contact us, and we can schedule a showing right away.